‘Breathing: ReBirth’ took place from 28 Feb to 16 Mar at Onground Architectural Gallery. 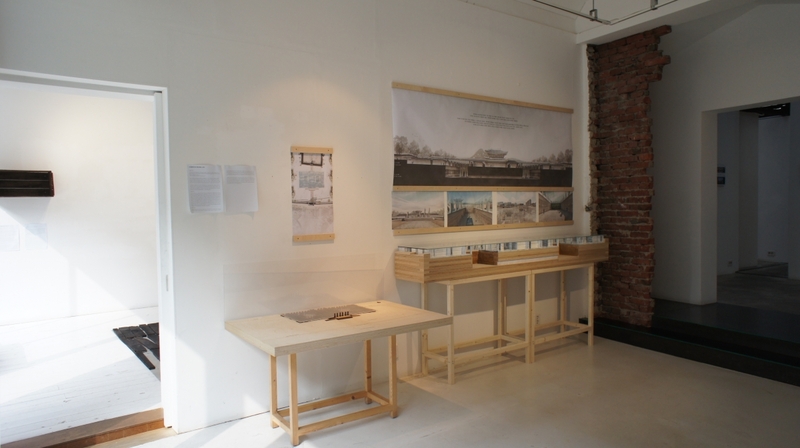 The exhibition introduced 12 architectural and urban regeneration projects conducted by BCHO Architect, and shared what Byoungsoo Cho and the young architects in his studio think of regeneration and architectural solutions to come. Cho revealed his attitude to regeneration in the exhibition statement: ‘Recycling should not be the only thing we need to do, but we have to pay attention to our surroundings, to share new values and visions, and to make a new world’, he said. On the front of the gallery, the work ‘About Apple Boxes’ was installed. The wooden apple box was presented in two ways: a whole box was installed on a white wall, and the other box was dismantled and formed a new pattern on the floor. The work rediscovered hidden values in an object that had completed its original function, expressing the regeneration conceptually thought of by BCHO Architects. Architecture and urban projects dealt with the notion of regeneration more specifically. 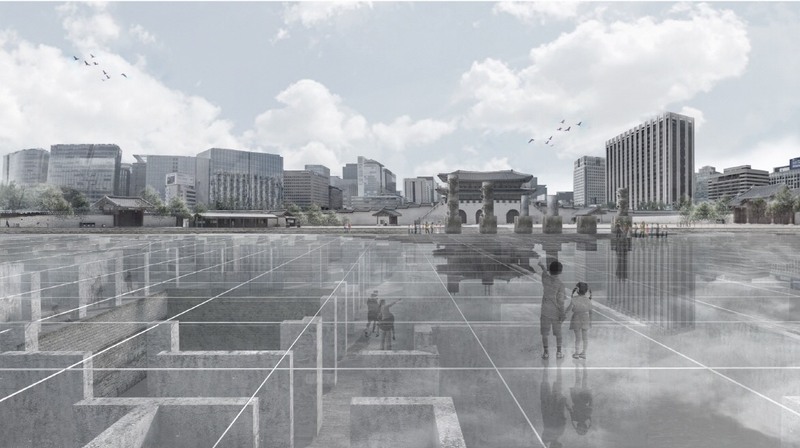 ‘Proposal for The Chosun Governor General Building in Seoul’ (1995) was designed to reveal our past without concealing a painful history. After leaving only the basement of the building and the 1.2-metre-high structure, they covered it with tempered glass so that people could walk on the glass and see the cut-off ends. It was just a proposal and was unveiled in the exhibition through large panels and models. ‘F1963’ (2016), which began with the material properties found in existing buildings, also attracted attention. The uneven walls and stained floors in a factory building, which had produced wire ropes since 1963, were preserved and the truss structure of a factory roof was used to transform into a complex cultural space. On the other side of ‘F1963’, they planned ‘Four Pieces Studio’ for four artists (2017, proposal), hoping that the influence of the regeneration project would not only extend to a single building but also the wider urban structure.